Winter break starts this Friday for most schools around here, and with so many people packing up for Florida, a girl can get kinda stir crazy. As a kid, winter break meant sun and beach, with loads of seafood for dinner. 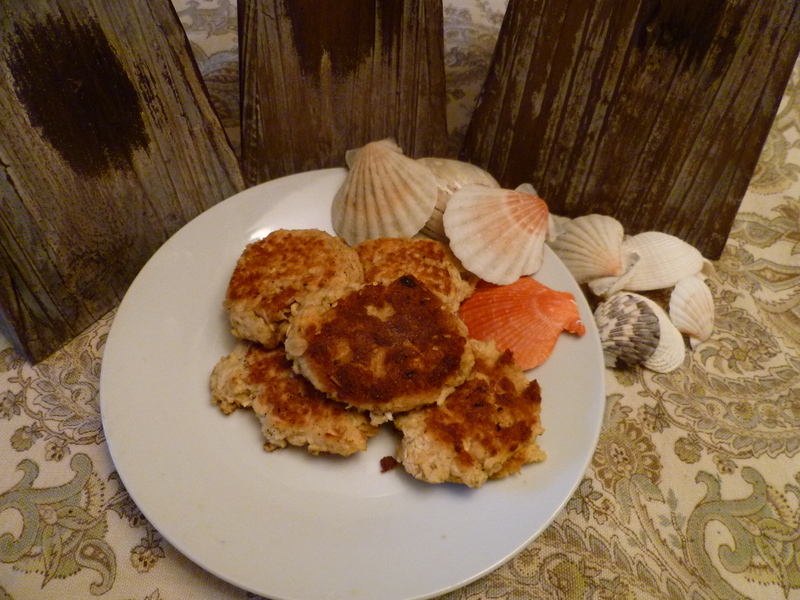 And since my grandmother’s usual order of a “female lobster” (don’t ask me what makes a lobster female) wasn’t my idea of a good meal, I usually feasted on crab salmon cakes. Last night I made the seafood cakes of my youth, and my kids shoveled them in their mouths as fast as I used to shovel sand into my bucket. True, the only sand I’ll see next week will be frozen under my running shoes, but at least I’ll still be eating well! Drain the salmon and dump in a bowl. Stir in all the other ingredients, except the oil. Heat the oil over medium-high heat. 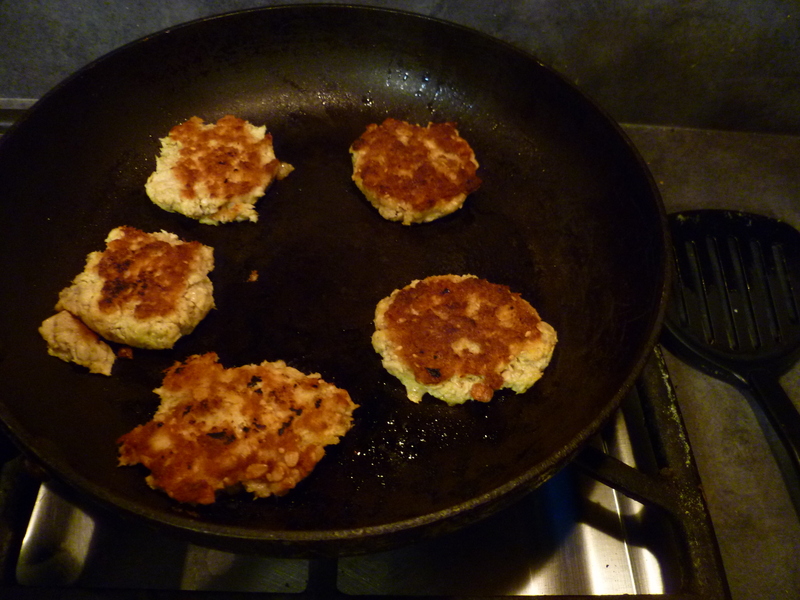 Flatten balls of the salmon mixture into the shape of a pancake and saute in the oil for about 2 minutes on each side. Pat off any excess oil before serving.